As much as migrants love and embrace their new country, many cannot help but feel they’ve left a piece of themselves behind… and often those born in later generations still feel that bind as well. 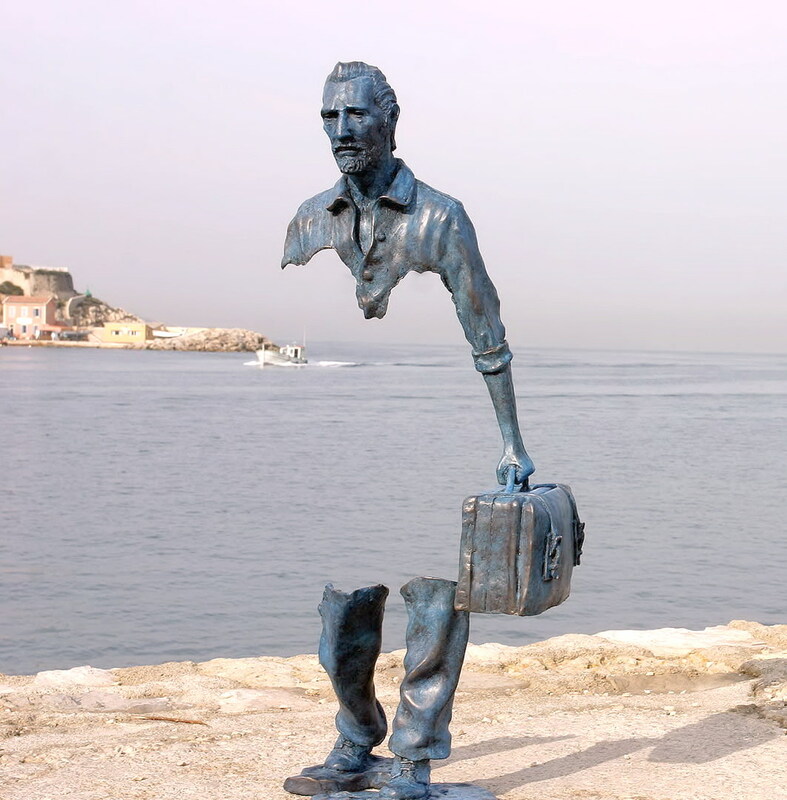 This poignant sculpture at Marseilles is by Bruno Catalano, Moroccan-born in a Sicilian family who later moved to France. Being ten years old and watching from a boat his native land fade away had a profound impact that would stay with him throughout his life.